The extensive manhunt for a Chester County man on Wednesday night, 9/19, ended with the suspect dead following contact with police and a crash very early Thursday morning, 9/20. 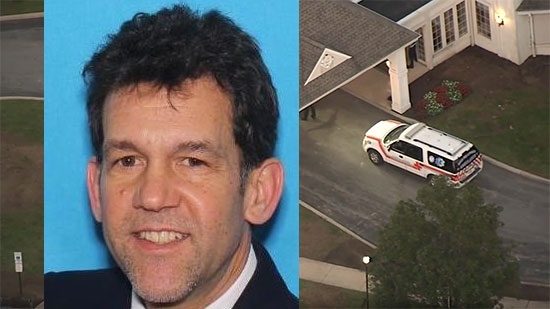 59-year-old Bruce Rogal was wanted for shooting at his ex-wife outside her home on Vermont Lane in West Bradford Township around 5:30 p.m. and then killing his parents inside their apartment at the Bellingham Retirement Community in East Goshen around 6:15 p.m. Authorities say that Rogal had received notice earlier in the day that his divorce was final and that his ex-wife was awarded the house. Around 1 a.m., Pennsylvania State Troopers searching for Rogal's 2002 Honda Odyssey saw him driving on Strasburg Road. A police chase ensued. It ended back on Vermont Lane a few miles away. Rogal crashed into the side of his ex-wife's house and gunshots were fired. She was not home at the time. It is not known if he fired on police, but he did have weapons in his vehicle. Rogal was pronounced dead at the scene. His cause of death has not yet been determined. The investigation is ongoing. District Attorney Hogan stated, "Chester County law enforcement worked cooperatively and swiftly to bring this situation to a close. Virtually every law enforcement agency and other first responders in the county and region either assisted or volunteered their assistance during the tense hours of this manhunt for a killer. The citizens of Chester County can take comfort in knowing that when dangerous situations like this take place, their police and first responders are prepared. We will continue to investigate this matter and provide additional information when the investigation is complete." Three people were killed and three more injured when a female employee at a Maryland warehouse opened fire this morning in Harford County. It happened just after 9 a.m. at the Rite Aid distribution center in Aberdeen, MD, about 45 miles southeast of Wilmington, DE. The 26-year-old temporary employee had a single handgun. After firing on her co-workers, she shot herself in the head. She was taken to the hospital in critical condition, but has since died. Law enforcement did not fire any shots. No word on a possible motive. 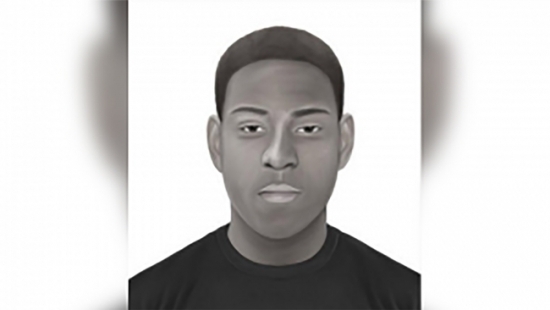 Philadelphia Police are searching for a 17-year-old boy wanted for sexually assaulting a 13-year-old girl in the Somerton section of Northeast Philadelphia. They say it happened around noon on September 6th. The girl had just gotten off the bus at Bustleton and Byberry. School was dismissed early because of the heat. She was walking home when the suspect grabbed her and dragged her into a yard near Blakeslee Drive and Cardella Place where he assaulted her. The suspect is described as a black male, 17-years-old, 6', 155 to 165 pounds, slim build, crooked nose, and short black hair. He was wearing a black T-shirt with orange writing on the front and grey sweatpants. Anyone with information should contact Special Victims Unit or call 911. The Philadelphia 76ers have hired Elton Brand as their new General Manager. Brand previously was the Vice President of Basketball Operations for the Sixers. He also was the GM for the Delaware 87ers now Blue Coats, the team's G League affiliate. As a player, Brand was drafted in 1999 by the Bulls and played 18 seasons in the NBA. That included 5 years over two stints with the Sixers. He was also a two-time All Star. The GM position was vacated this past June by Bryan Colangelo after it was revealed his wife operated numerous Twitter accounts that publicly shared team information and criticized personnel.